Posted on 17 March 2019 by Kapiti SeniorNet Inc.
Our thoughts and prayers go out to all those affected by the tragic events in Christchurch. 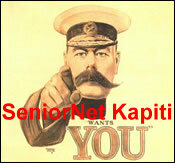 At SeniorNet Kapiti, we have a very special new member. His name is Yates, he has his own membership card and he’s the guide dog for Elizabeth East. 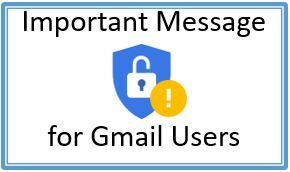 Elizabeth is visually impaired and she regularly updates us on IT developments for the visually impaired. Yates now attends meetings with Elizabeth and listens attentively to our discussions! Reminder: When Yates is wearing his walking harness, please don’t engage with him – he’s busy working! Posted on 19 February 2019 by Kapiti SeniorNet Inc.
We are now into 2019 and have a number of Courses and Workshops for you to choose from to keep your IT learning up to speed. If you go to our Website you will see the programme for Term 1 (Courses here and Workshops here). When you have made your selection please phone Elaine at 021 169 6256 to make a booking. Earlier this month we held the Coastlands Day, where we had over 40 enquiries and then the two Open Days which attracted 7 new members which brings our total membership to 307. We are currently reviewing our promotion plan so if you have any ideas on how to ‘Spread the Word’ then please let us know.